So say the voters in the 2010 Zagat fast-food survey, who rated the Five Guys burger ahead of such iconic patties as those at In-N-Out Burger and McDonald’s. Zagat raters also liked Five Guys fries well enough to place them second in the survey, right behind the golden spuds at the Golden Arches. That In-N-Out Burgerhas only 249 outlets, mostly located in the West, compared to more than 600 Five Guys stores dotted all across the country. That In-N-Out Burger actually won the Top Food category among “large chains,” which are those “with up to 5,000 U.S. locations entering into the 2010 fiscal year.” Five Guys finished fourth in this category. 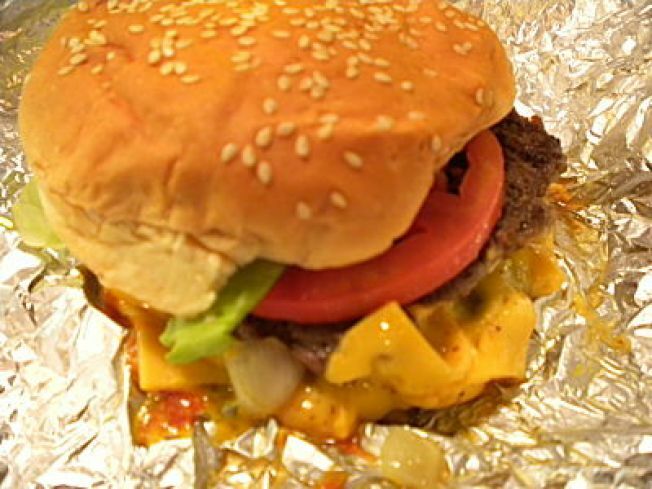 Last time Y&H checked, both Five Guys and In-N-Out Burger essentially serve burgers and fries, and little else. The contradiction here among the survey results is almost impossible to reconcile — and points out how little importance we should place on them.